Carson Optical's new PRO Series. 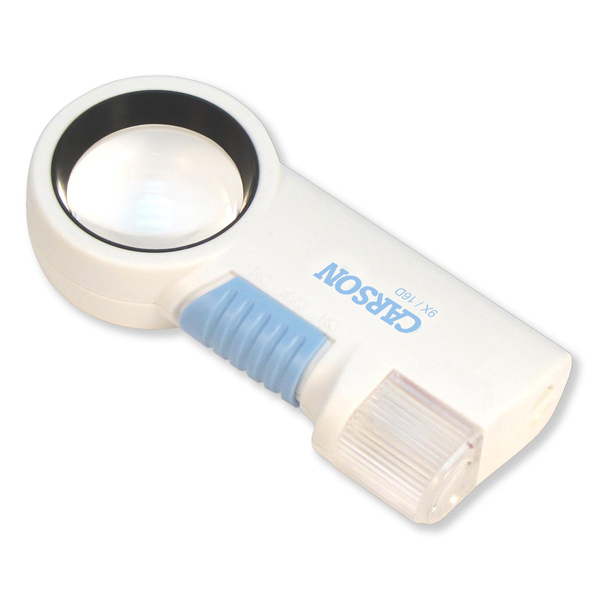 It is a 9x aspheric, LED lighted Magnifier and Flashlight combination. The MagniFlash™ comes with a neck strap (Lanyard) and case. The CP-16 is lightweight and compact to take with you anywhere. Use this high end Magnifier for everyday tasks or hobbies & crafts.